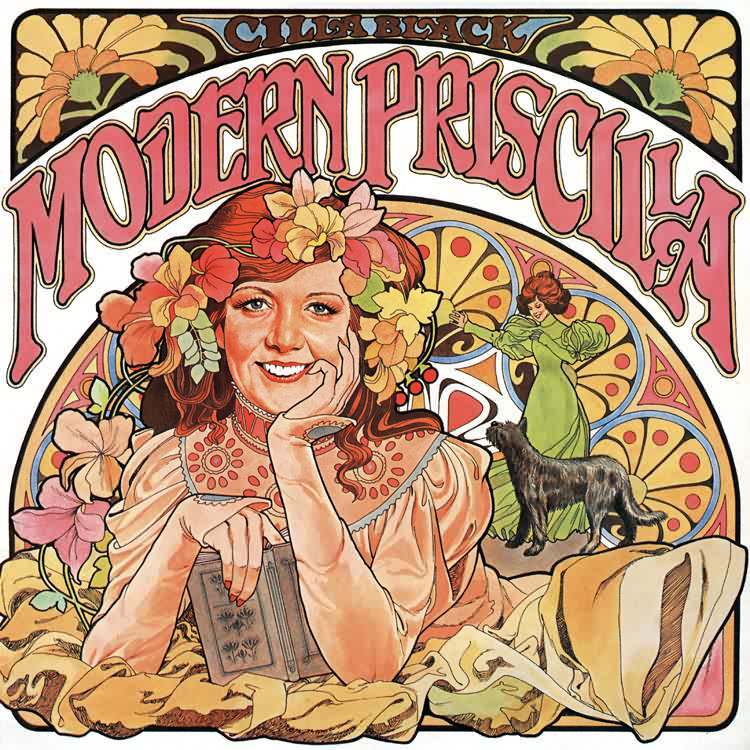 ‘Modern Priscilla’ is the title of Cilla Black’s tenth solo studio album and her last to be completed before the end of her 15-year contract with the EMI group. The release of this album with its two singles completed the long-term partnership with the recording giant. For Cilla’s final project EMI drafted in producer Mike Hurst who at the time was setting the charts alight with a series of Top 5 singles which he had produced for Rock ‘n’ Roll revival octet Showaddywaddy. Mike initially was drafted in to produce a recording session for Cilla’s standalone single release “I Wanted To Call It Off”. The disco tinged single from July 1977 was a sign of things to come as for the album project Mike further exploited this genre. The album notably featured three songs by songwriters Dominic Bugatti and Frank Musker who had written disco anthems for The Three Degrees (“Giving Up, Giving In”, “Woman In Love”) and Bonnie Tyler (“Married Man”). On September 7, 2009, EMI Records release a special edition of the album exclusively to digital download. This re-issue features all of the album’s original recordings plus six bonus tracks (all have been digitally re-mastered by Abbey Road Studios). A digital booklet containing original album artwork, an interview with Cilla, detailed track information and rare photographs will be available from iTunes with purchases of the entire album re-issue.